Ever wonder how a cover comes to be? A whole bunch of people are involved in the process and decision-making, including the book’s editor and the sales & marketing team. 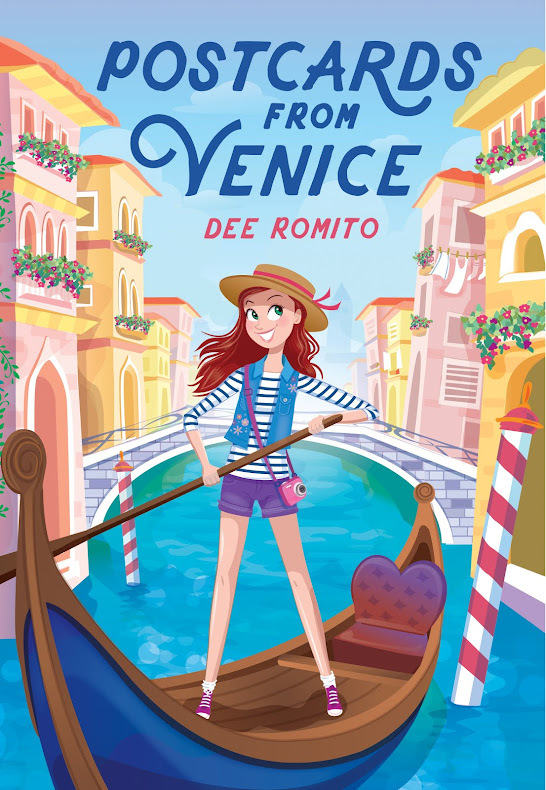 For THE BFF BUCKET LIST, both cover designer Karina Grande and illustrator Annabelle Metayer had a big part in making such a wonderful cover. Here’s a look behind the scenes . . .
What is the first step in the process? If the book is available, we’re given the manuscript and a summary of what the book’s about. The editor might have an idea of what they want on the cover. The original ideas were the ice cream parlor and water balloon scene, but the Illustrator got hooked on the grocery scene. How is an illustrator chosen? If we have someone we’ve loved working with in the past – maybe we’ll suggest them. Usually we present a variety of people and the editor is very influential in deciding which of these illustrators have the right tone for this story. We definitely go out looking; we have relationships with different illustration agencies, and we’re also always on the lookout whether it’s Pinterest or Blogspot or if something pops up on my social media. As visual people you’re constantly looking for inspiration everywhere. How does the process start for you? 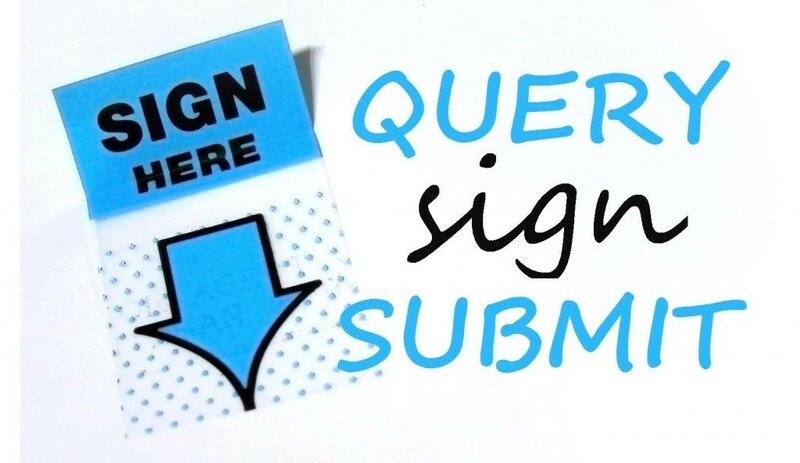 Are you contacted by the publisher and offered the project? I first receive an inquiry from a publisher: I double-check that the mandate is a good match to my style (girly!). Once the schedule and other formalities are established, we can start! What happens from the point you’re contacted by the publisher? In most cases, I work directly with the book designer who acts as the coordinator between me and editorial –who is responsible for the briefing. · If the manuscript is not completed/available to read yet, I simply get a synopsis and a precise scene to draw. 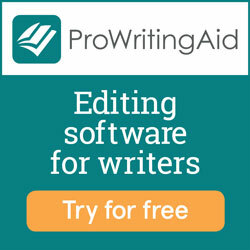 · If the manuscript is available, I get to read it and am given total freedom to provide my own ideas. Some publishers like to get many rough ideas to choose from while in some cases only one idea needs to be provided with maybe a few variations. No matter the scenario, it’s always fun! Do you read the book? If so, what kinds of things are you looking for as you read? The book was so centered on the relationship of the characters that in this case we felt it was important to show them. Kids this age love a best friend story and having that on the cover makes it relatable. We’ll generally stick to what the author has written, but sometimes it needs to be changed. If the character description is tight enough at the beginning of the story we can work with it. For the BFF Bucket List, I was lucky to get to read the manuscript. I love the challenge of reading a story, visualizing the scenes and trying to find a way to really capture the essence of it with the most inviting image possible. The playful supermarket cart race scene, for example, really appealed to me! I ended up doing 3 different concepts (with a few variations), all representing a scene featured on the girls’ bucket list. My first sketches are always super rough, B/W line drawings, in order to not waste time. I loved all the ideas but I am glad that my favorite one was chosen! Once a sketch is approved, what’s next? Once a sketch has been approved, I start creating a new draft in color. 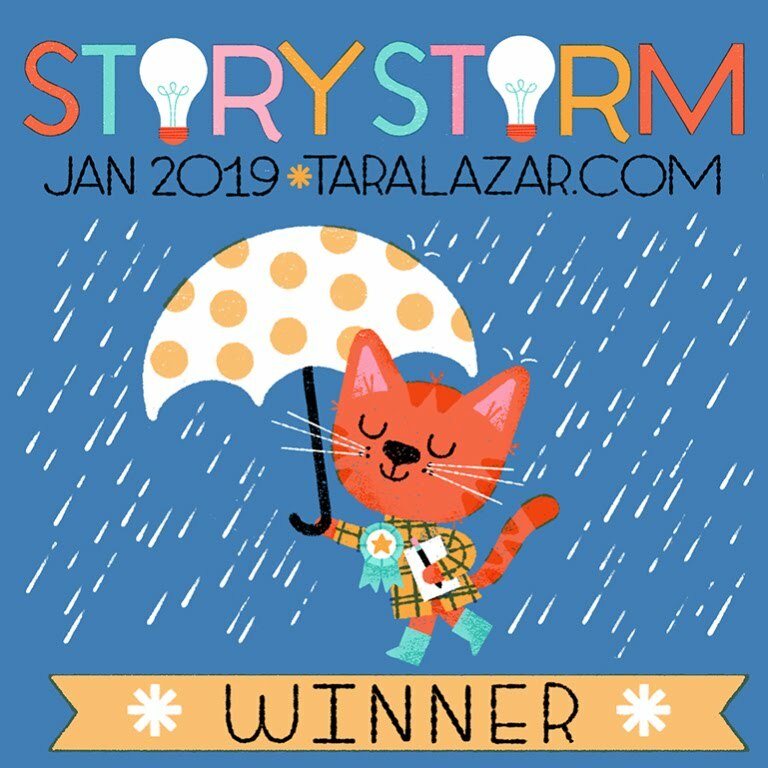 This first color ‘comp’ will also be used by the designer who will add the book title and author name, making sure there is enough room for all design elements. There might be 2 or 3 color sketches shown to the publishing team, getting everyone’s input before we go to the final image. My illustrations are entirely drawn in Adobe Illustrator, with my mouse (I never could get used to a digital tablet! ) I then bring the final copy in Photoshop to adjust the colors before sending it to the designer. What is your favorite part of the process? I love seeing a new project inquiry in my mailbox! But the stage of the project I appreciate most is final phase, where all the composition issues have been taken care of, the overall image has been approved, I can go final. Now it’s time to dress-up the characters, make all objects in the scene look shiny and beautiful, selecting the perfect clothes, arranging hair styles… it feels like playing dress-up! Are you involved in the process all the way through? When she’s done with the illustration, I’ll put type variations or multiple types and take those to a meeting or to an editor and we’ll pick the final version. How does it feel to see a finished book with your illustration on the cover? I love to see the final image with the designer’s touch on it : lettering, logos and all! It is so satisfying and if I happen to see one of my book covers in a bookstore… I might indulge in a selfie with it. Any interesting behind-the-scenes details about cover design you can share? I think one of the things people don’t realize is how many voices we contend with. It requires a more patient process. We also deal with a lot of small feedback. I think flexibility is a big thing. A certain level of flexibility is something that’s required at any level. It is such a collaborative process. Sometimes getting all those opinions to get to the end cover takes some time. Any behind-the-scenes info that people might not know? Another significant player in the process: my husband! I am so lucky that he happens to be a wonderful art director (he has his own graphic design company). Image composition is his thing. It’s amazing how sometimes just moving, enlarging or eliminating a single element can really improve a composition –I always show him my sketches before sending them to my clients. It gives me a lot of confidence. Behind-the-scenes? I work in my pajamas. 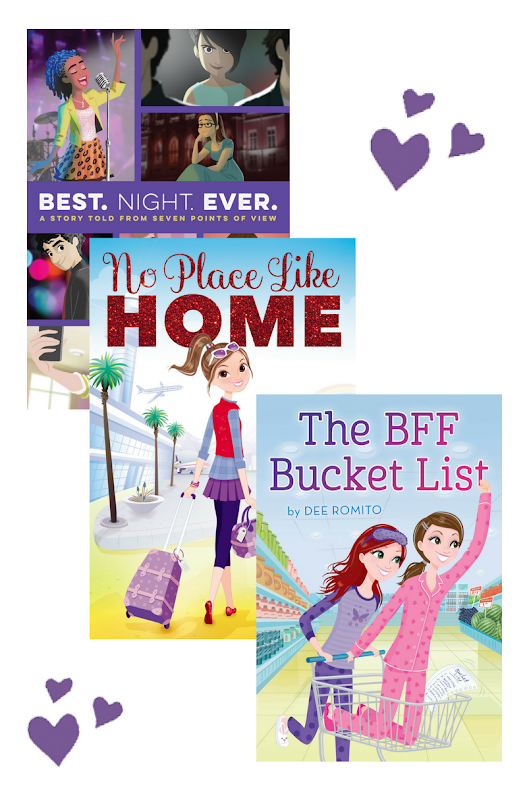 To learn more about THE BFF BUCKET LIST or get the book, visit http://www.deeromito.com/books. Love, love, love this! It's so fascinating to see the process behind designing a cover. And I think you really nailed it for BFF Bucket List. So perfect! It was so fun to learn about it all!